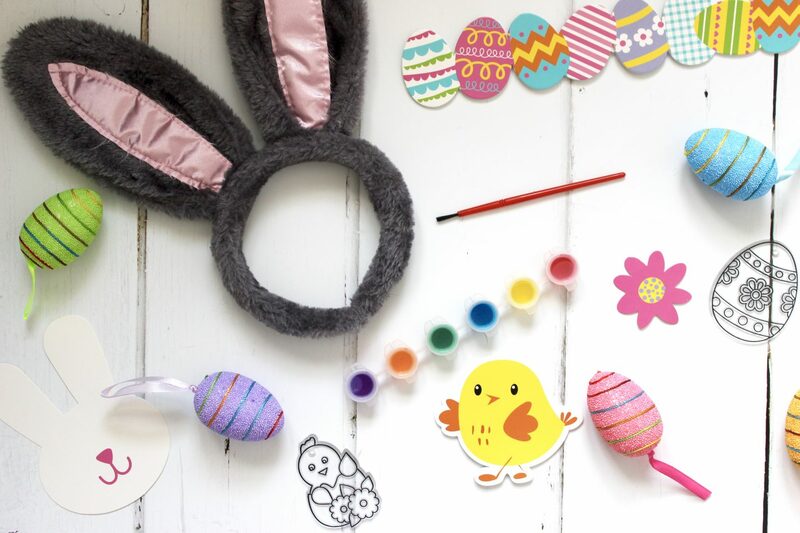 Poundland recently got in touch with us to see if we would like to try their range of Easter crafts. 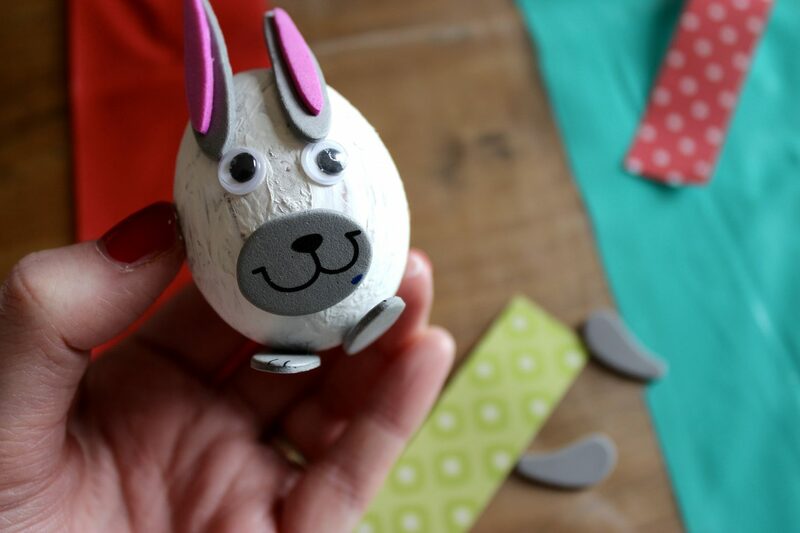 Of course I said yes, with it being the Easter school holidays I’m always looking for ways to entertain the children and keep them happy. 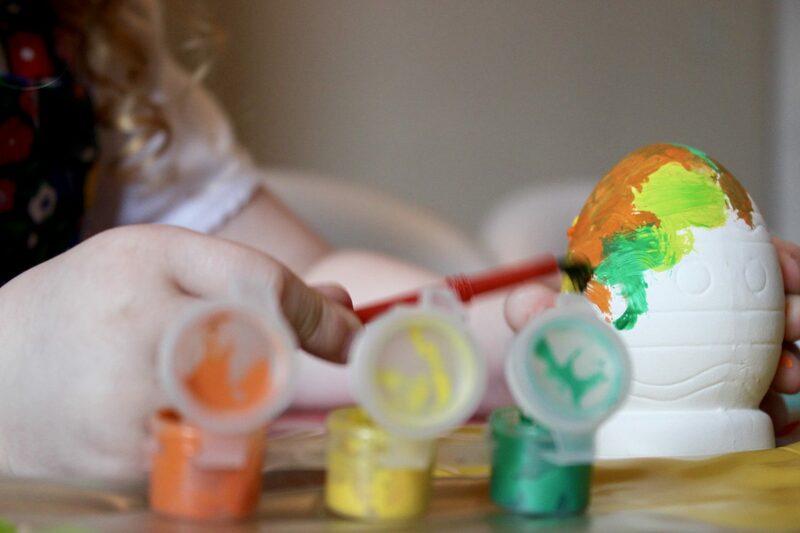 Both of my kids love doing crafts and they have thoroughly enjoyed doing these. 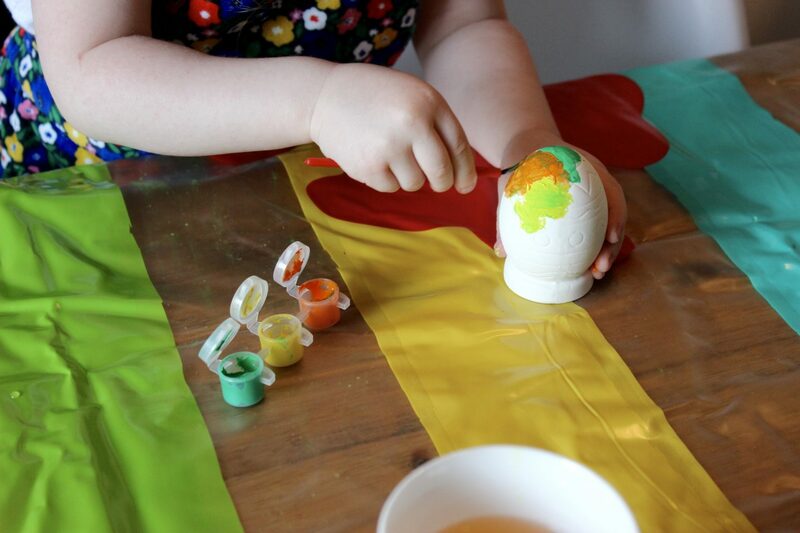 This kit came with four Easter themed decorations, six paints and a paint brush. 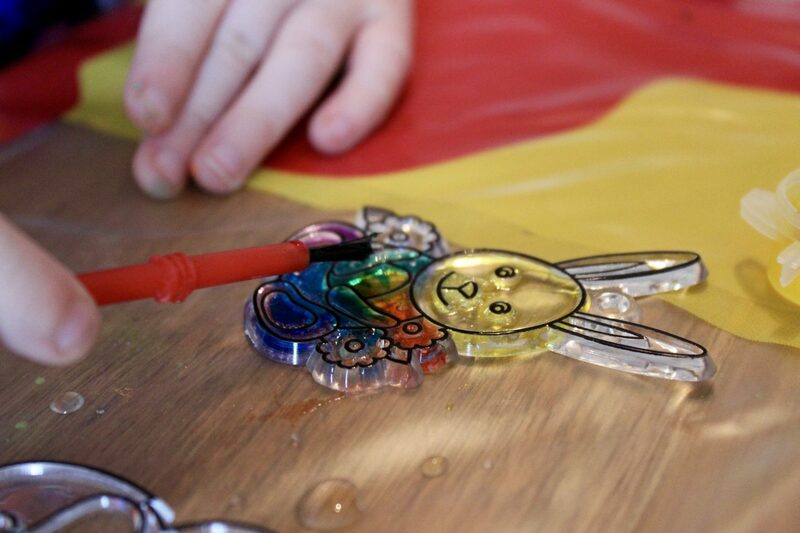 The kids really enjoyed doing this and being the crazy pair that they are, we ended up with a multicoloured bunny and a blue chick! 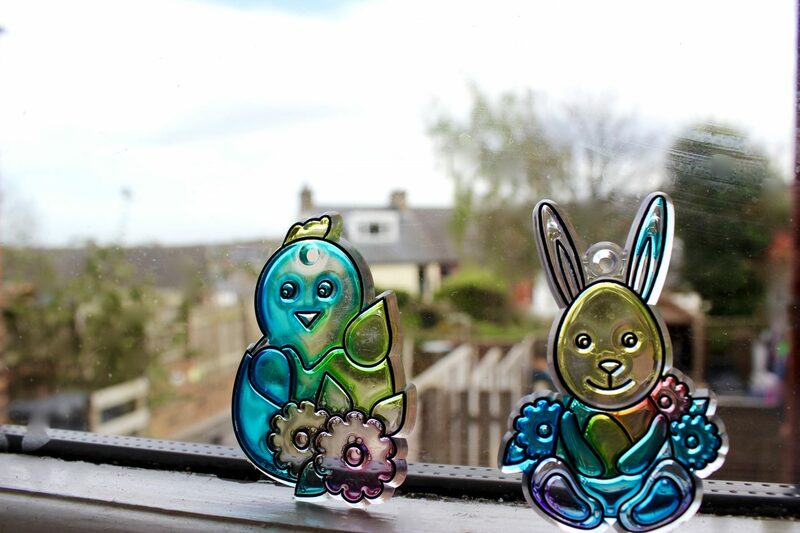 They are now sat proudly in the children’s bedroom windows, and I have to say they look pretty cool when the sun shines through them. 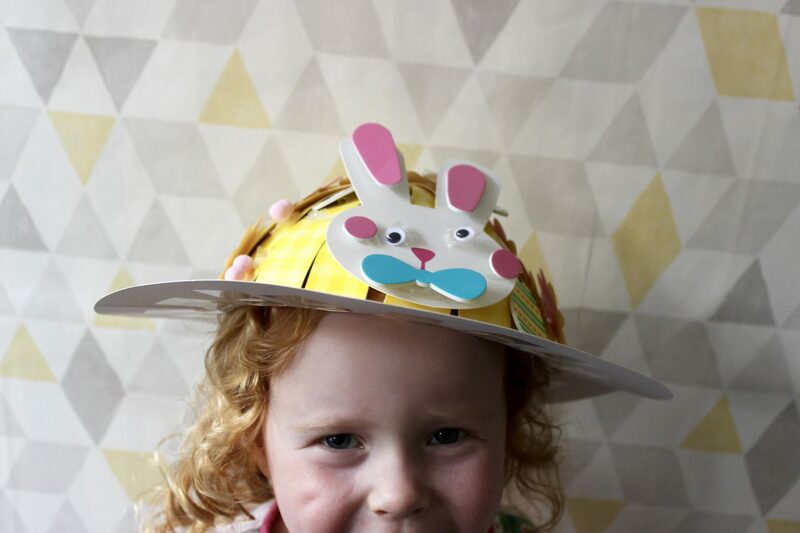 Of course we had to pick up the Easter bonnet kits! 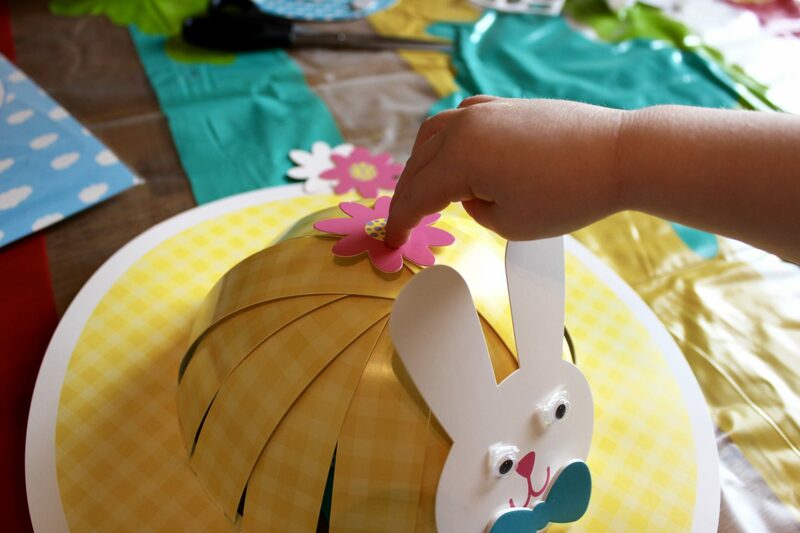 I’ve always wanted to make Easter bonnets with the kids, but it’s something that we’ve never gotten round to before. 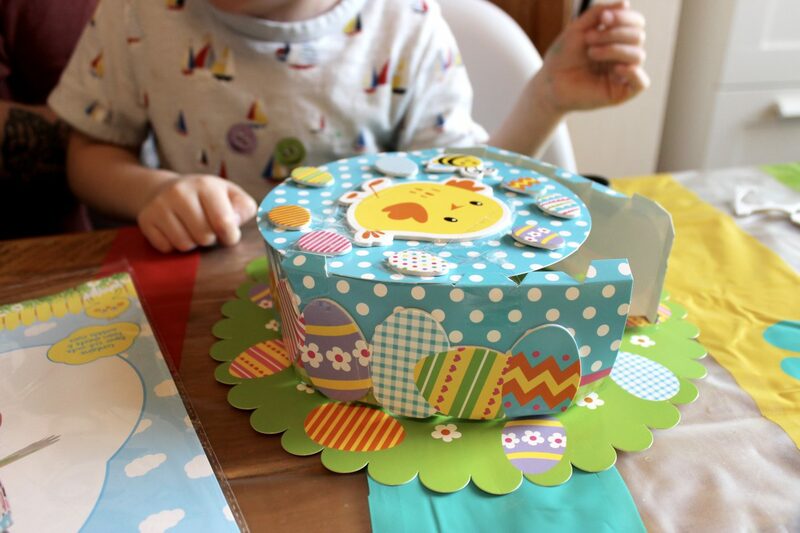 Each kit came with with all the bits and bobs that we needed to make our bonnets, it was super easy and convenient! Alternatively Poundland are also selling separate straw hats, so that you can design and create your bonnet exactly as you want it. 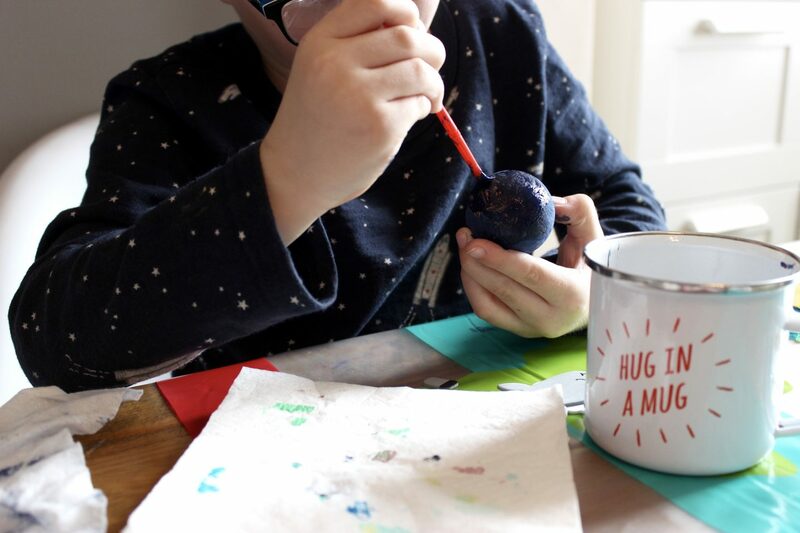 The paint your own Easter egg kit comes with three pots of paints and a paint brush. 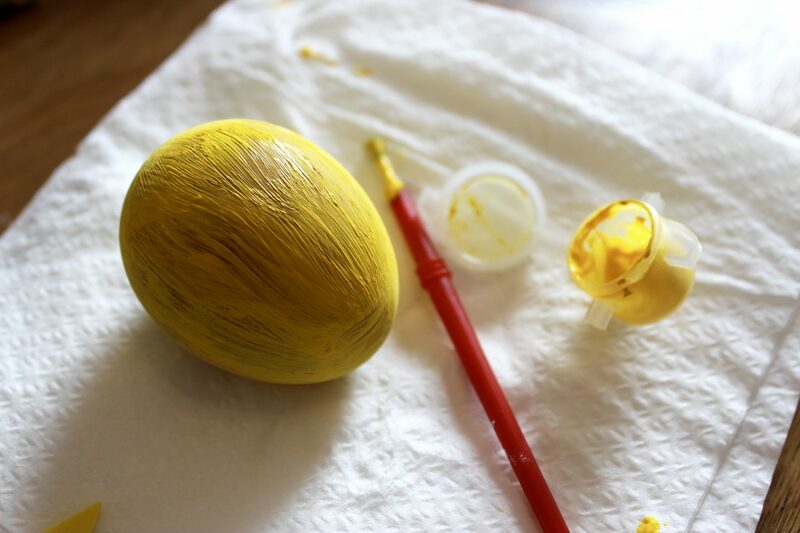 These kept the children occupied for quite a while and they were very proud of their finished eggs! 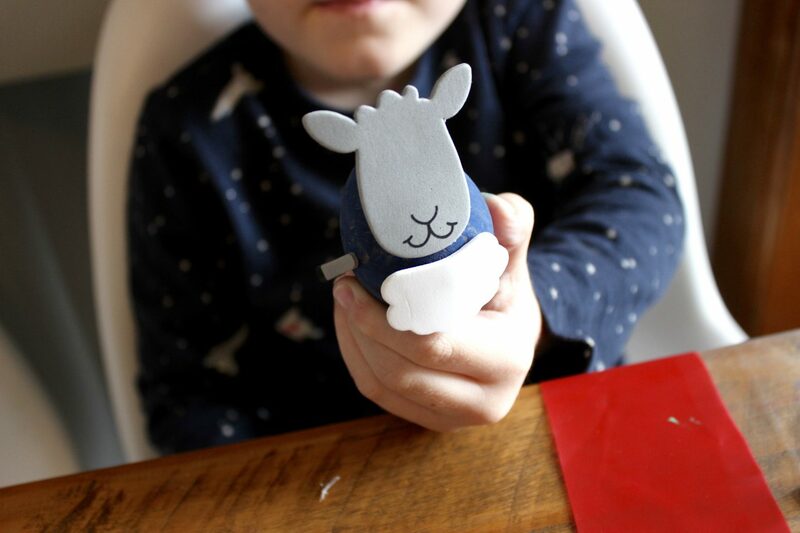 I think this has to be my favourite of all the crafts, it’s the kind of thing that takes me back to being a child myself. 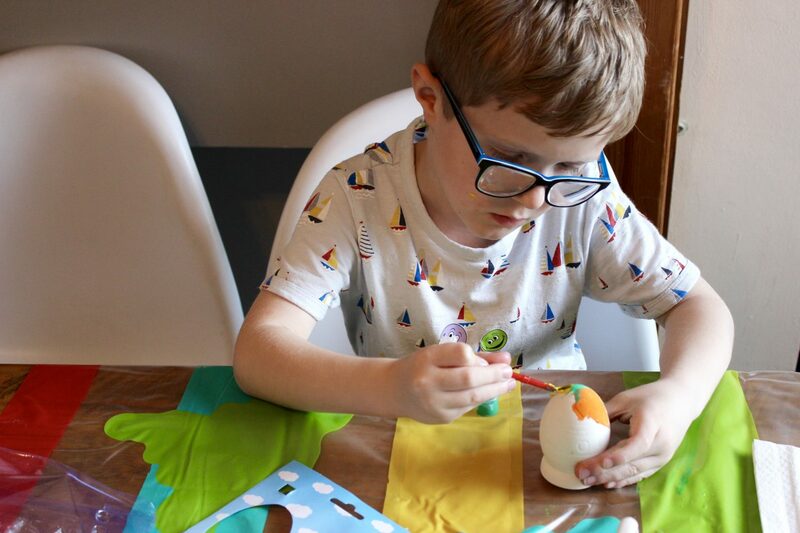 For this one all we had to do was boil the eggs, paint them and decorate them to make these super cute little egg characters. 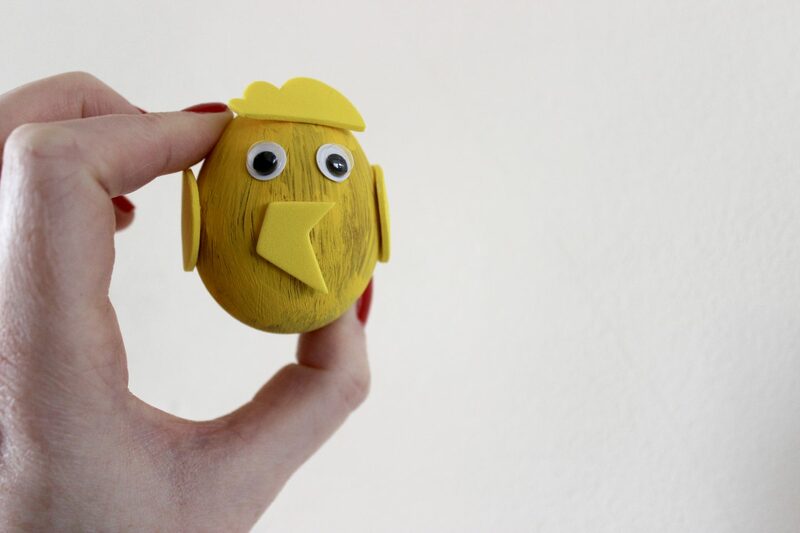 Max made the sheep, Evie made the bunny and of course I had to have a go, so I went for the chick. 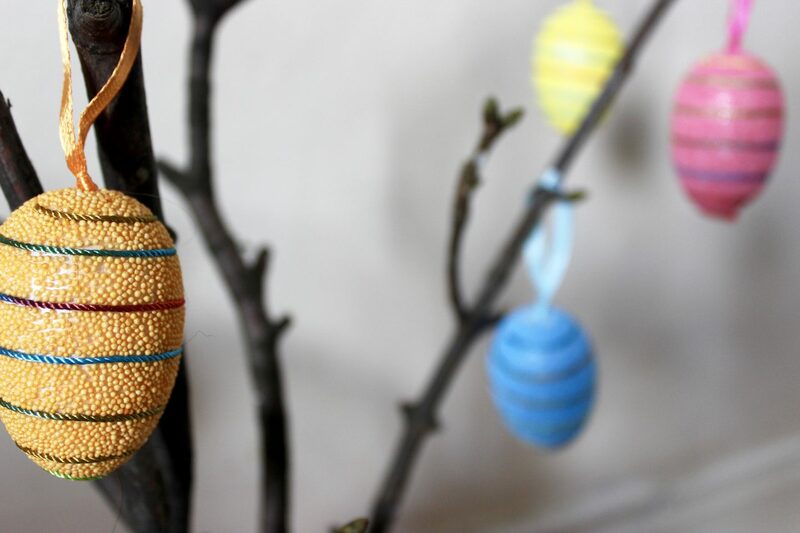 Finally we picked up a pack of six hanging egg decorations, I thought they were really cute so I wanted to do something with them. 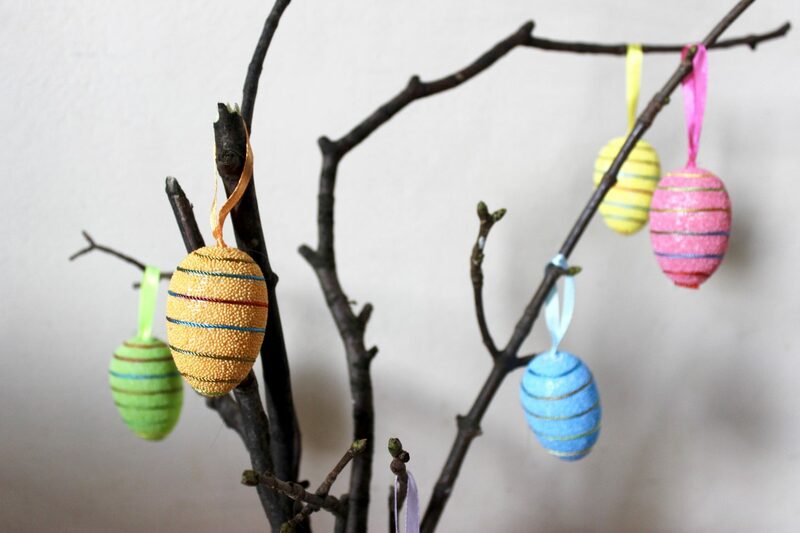 We decided to create our own little Easter tree so headed out and spent a morning picking twigs for our tree! We then simply popped the twigs into a vase and hung our decorations from them, I think the finished tree looks really good and it was a fun way to occupy the kids for a couple of hours. 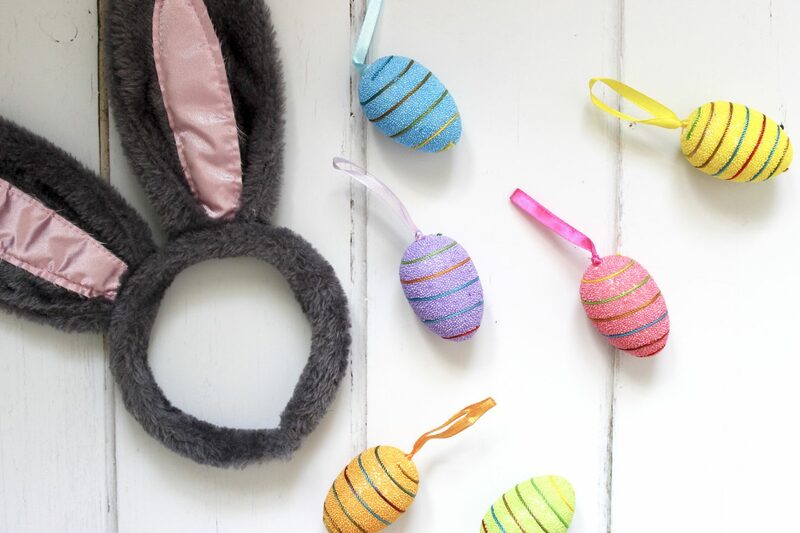 We’ve had great fun trying out these Easter crafts and for just £1 each I think they are great and the perfect way to occupy the kids this Easter. 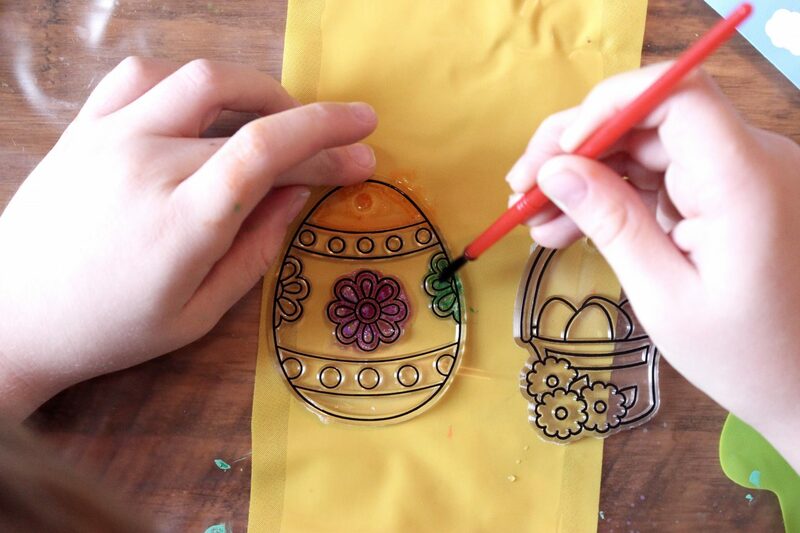 Have you done any Easter crafts with your children yet? Do you think you will give these a go?